Visitors are advised to arrive before 18:00 (if possible). Toool representatives will be present in the hostel from Thursday on, and be available all day to assist visitors and assign them rooms and explain the (simple) rules of the event. 18:00 – 19:00. Dinner will be served. We hope the kitchen stays open till 19:30/19:45 for latecomers. Han Fey likes to investigate. On the second hand market he found locks from a facility with180 individual locks. These locks were not masterkeyed. Han did however discover a flaw in the system, allowing a relatively small set of try-out keys to open all the locks. In this presentation he goes into detail how he identified the flaw, narrowed down the keyspace and optimized his attack. Fascinating material. As many LockCon attendees know, Peter Field has an extraordinary way of looking at locks. Like a pathologist, he cuts locks in many thin slices and captures the result with high quality photography. This unique methods of creating a cutaway view is world renowned. With it he has set a standard many people tried to copy but only very few can even get close. We are proud and honored to have Peter over for yet another long presentation about the different elements in high security cylinder lock design. Combining his unique cut-away imagery with illustrations from old patents, he will explain how engineers classify the cylinder elements, modify them, develop new ones, and re-combine them all to invent new products for the constantly evolving security market. You will leave this presentation with an outline and a clear understanding of the design constraints and functions of most of the various elements you may find in any lock cylinder. Oliver Diederichsen managed to get his hands on some unique material: complete Stasi manuals of the department responsible for covert entry operations. 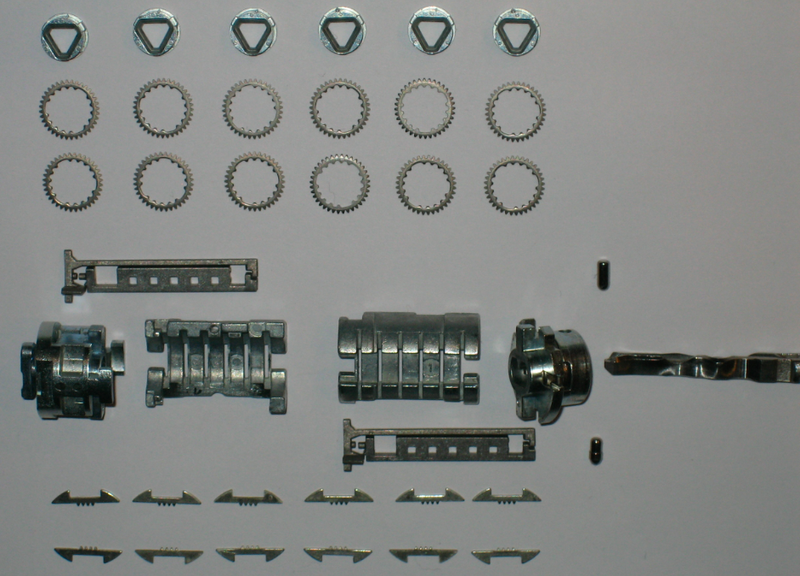 Many of the techniques and tools can still be converted to work on modern locks. Oliver will highlight one part of the files that talks about the state of the art in locks around the late eighties, and how far the stasi got in bypassing them. Datagram is a well known expert in the field of lock forensics, but also does lots of other interesting research. Magnetic locks are still considered amongst the most high-secure locks. And in some cases rightfully so. During his presentation Datagram will show what progress he made on bypassing some of these magnetic locks, and demonstrate his custom made opening and decoding tool. Jaakko Fagerlund is a big fan of Abloy locks and knows a lot about them. And of course he is interested how to tackle the system/ Together with Jord Knaap they improved on Barry Wels his ‘reduced contact area‘ impressioning technique for disc-locks. They found a way to get better marks and make the process more easy, and share their findings in this workshop. Impressioning is the fine art of opening a lock by filing a key from a blank. It is an ancient technique that still works on an amazing number of (high security) locks. The championships speak for themselves: who will be the fastest filing a working key to a lock his year? The impressioning championships will be played by the new rules. Meaning 45 people start with impressioning the same lock, and the first six people to open the lock will move on to the finals. Abus reserved some old stock just for these games and donated the C83 cylinders and blanks again this year. Thank you Abus! The Fichet F3D lock is one of the most intriguing locks that came out in a long time. Not easy to get, quite expensive and contains many, many parts. The innner working of the lock also is quite interesting and unique. Michael will take you trough the lock step by step, and there will be an interesting discussion on how this lock maybe could be bypassed. 11:30 – 15:30 Dutch Open lockpick championships. We are not going to play the one-on-one, and ‘winner takes all” that we did last year. It will be fair and balanced how we do it, and it will allow for many small picking contests against a direct opponent. In these games two people will be playing against each other, and the one with the most locks opened, or the fastest time if the same amount of locks are opened, will go trough to the next round. If the two contestants do not manage to open any of the locks they are both out of the game. In case we have an odd number of contestants, there will be three people competing against each other and the fastest two go trough. The last man standing wins! More information on how to register for LockCon2011 can be found here. Expect this posting to change a little in the days to come. Entries (RSS) and Comments (RSS). 43 queries. 0.587 seconds.